MotoSonora Brewery | Coming Soon! is a Craft Brewery and Tasting Room in planning for Tucson, Arizona slated to open in the first half of 2019.
and that represented the theme of the brewery and that would be representative of the quality and flavor of our beers. MotoSonora, was chosen as a tribute to the golden age of cross country road racing and to reflect the adventurous beginnings of our brewery in Botswana in 2010. 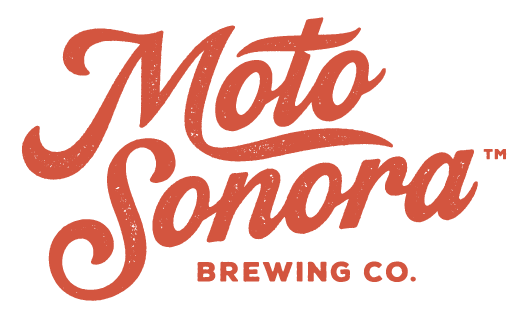 By combining the name Sonora to reflect our location in the heart of the Sonoran Desert with the Italian prefix “Moto” (a nod to our Italian heritage and a source of many fantastic, if unreliable vehicles), we created a new name that symbolizes the speed and elegance of overland racing and adventure. Using Old World language in a new way to take European beer styles into the New Southwest perfectly captured the spirit of our brewery. when Tucson brothers Jeff and Jeremy DeConcini spent hours fireside in the bush debating the merits of the vehicles driven, the countries visited, and the preferred beers tasted along the way. Whether it was an IPA, an export stout, or a schwartzbier, it was indisputable that the beers were as integral to the overland experience as were the Land Rovers and motorcycles. 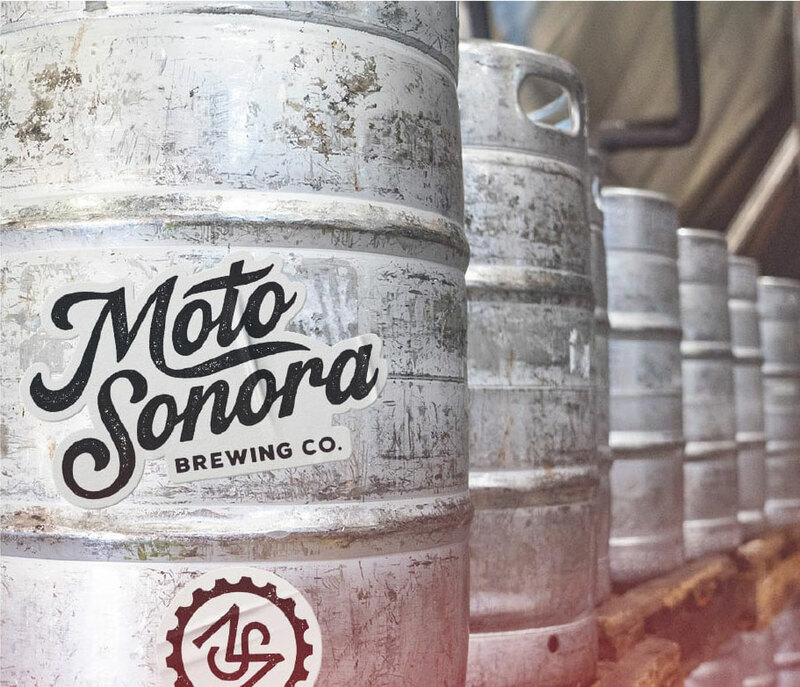 Several years, thousands of beers, and many poor vehicular choices later, they were finally able to marry the talent, the motivation and the timing into MotoSonora Brewing Company. The DeConcini brothers’ hometown of Tucson is a cultural and culinary, as well as overland crossroads, where the adventurous can access the Arizona Trail or be within striking distance of the Camino Del Diablo and Baja California. The road trip themed taproom will be reminiscent of the Carrera Panamericana and Baja 1000 races, among others, and will be a place to show off your Austin Healy or your Toyota FJ40 while drinking one of our world-class beers. by adventurers returning home, not to mention just a place to get a beer and see your friends. We plan on having an oasis style beer garden utilizing many of the amazing plants found in the Sonoran desert, and if you love the dog park and just wish that they had beer, then head on over to MotoSonora where we plan on having a small off leash area for your furry friends to run around while you have a cold one. In another nod to our Old World, Italian heritage, we plan on having a Bocce court in the beer garden. We will be located at 1015 South Park Avenue, far enough off the beaten path to be an adventure, but close enough for a cheap rideshare home! At MotoSonora Brewing Company, not only do we believe in world class beers in a stunning setting, but we believe in keeping the planet that we live on intact for generations to come. To that end, we are joining 1% For The Planet, whereby we donate one percent of our annual revenue towards environmental causes. that everybody loves from Belgium, Germany and Britain as well as the cutting edge hoppy styles coming straight out of the west coast. Our development team has decades in the West Coast beer scene. MotoSonora Brewing will be a place to relax and revel in a tranquil oasis while having a beer on par with the best in the world. Wherever possible, we plan to integrate local ingredients into our beers to create flavors found nowhere else. © Copyright 2019 MotoSonora Brewing Company. All Rights Reserved.